Art for After Hours conceptual designs by Anthony Cappetto are hand drawn, painted, printed, designed for 3D illusions, anamorphic, on one or more interconnected planes; even immersion in physical (live) and virtual space simultaneously with 4D emerging technologies . Following the traditional methods of using dry chalk on pavement, asphalt, concrete. With discussion, Art for After Hours can bring the dry chalk work into indoor settings using many different substrates and strategies - live, printed, or somewhere in -between.. 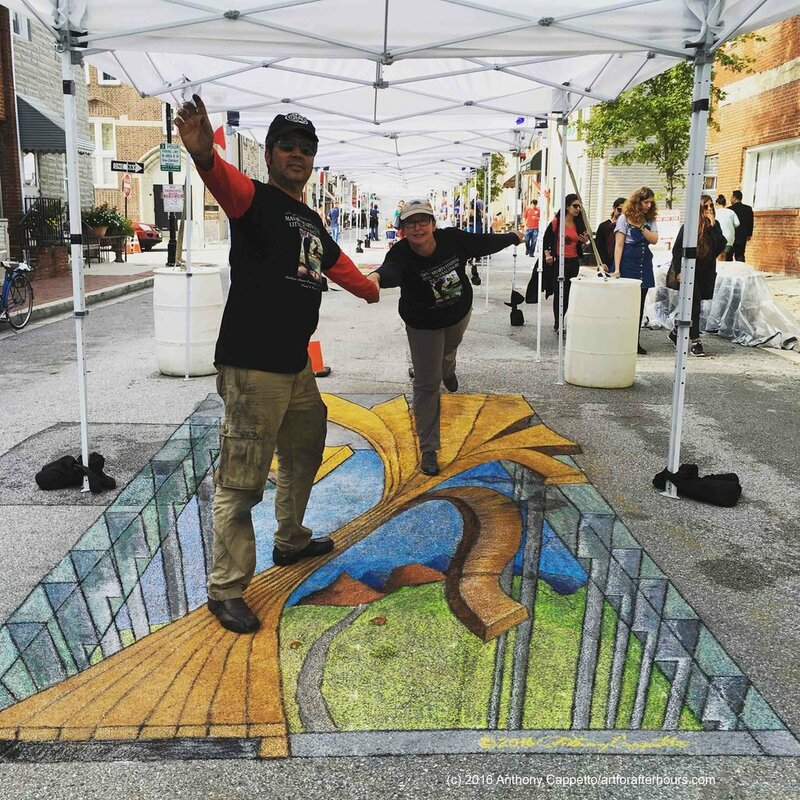 The new direction for today beyond 3D illusions alone - Art for After Hours 4D blends animated and still augmented reality, virtual reality experiences, even moving to blur the planes of physical and virtual spaces with 4D street painting world simulations.